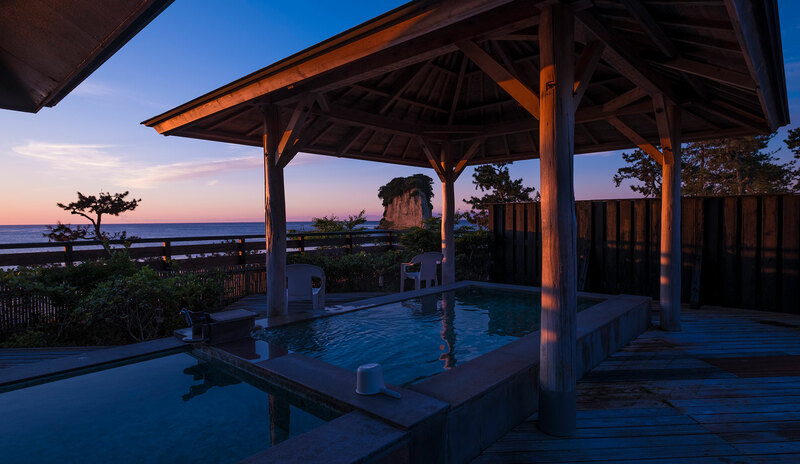 Delightful baths and vistas to soothe the soul. 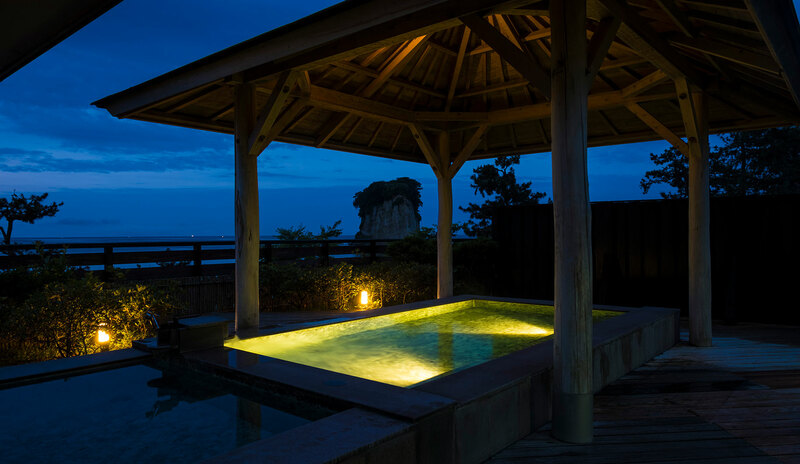 The Kobo bath, our outdoor bath, unfolds into a fantastic panorama of Mitsukejima Island and the sea around it. 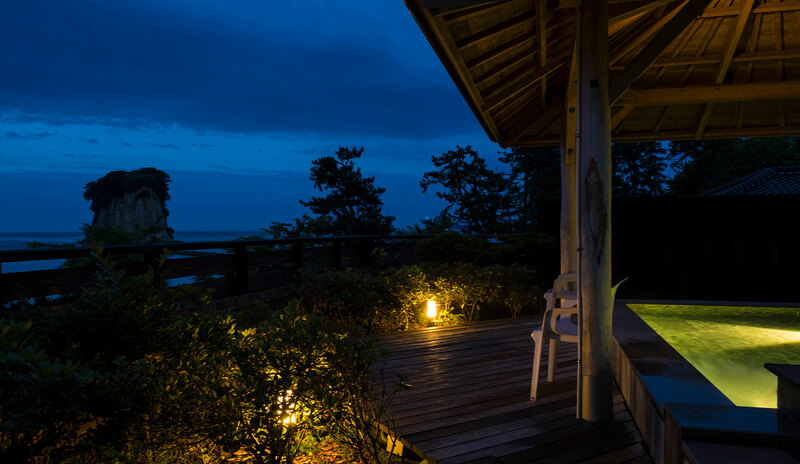 See the constantly changing colors of the sea and sky and let their transient appearance soothe you. 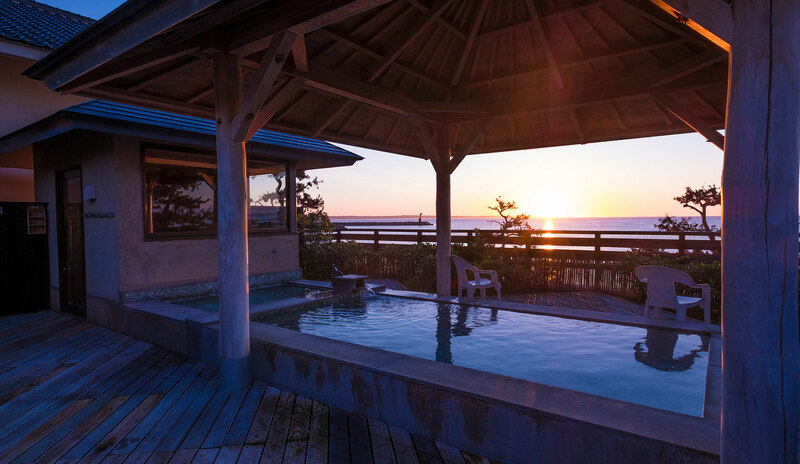 We especially recommend an early morning bath, where you can see the sunrise. 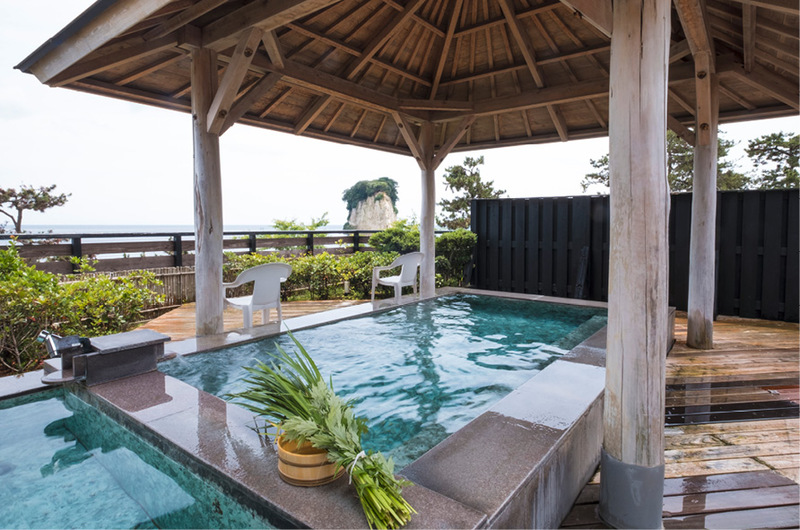 The waters at Notoji are not overly stimulating and are of a plain hot springs style that is gentle on the skin and body, making them ideal for the elderly, children, and those with delicate skin. 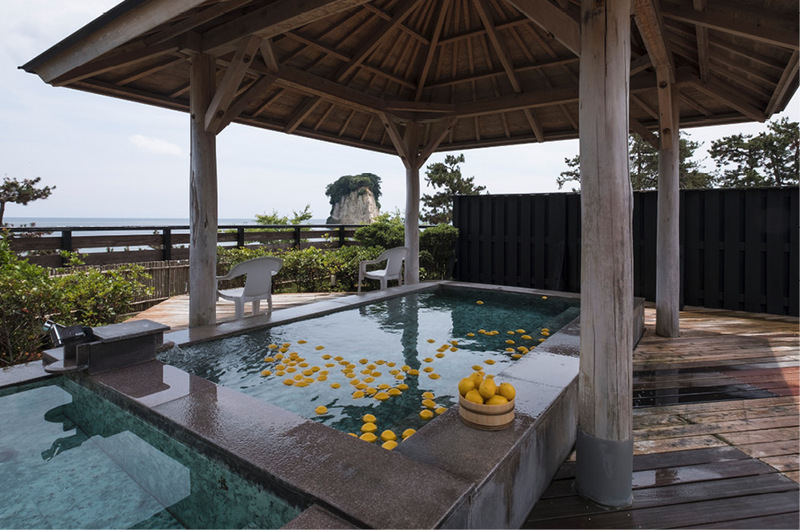 We offer unique baths that vary with the seasons and are enhanced with the natural aroma of iris, lemon, apple, Japanese hinoki cypress, and more. *Please note that the Kobo bath rotates for male and female use, respectively.